Lush doug firs, $30 for sizes up to 7 feet, or $5 a foot for taller trees. Thick Grand firs, very fragrant, $40 for sizes up to 7 feet, or $6 a foot for taller trees. Noble firs, $50 for up to 7 feet, or $7 a foot for taller trees. We also have some Charley Brown (not-quite-perfect) trees from $15. 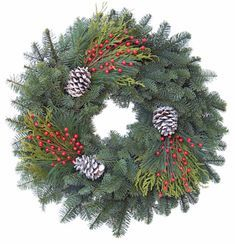 Noble Fir & Cedar Bough - Make terrific wreaths and holiday decorations. 10-12 pound bundles, $7.50. Assorted bough cuttings, free. 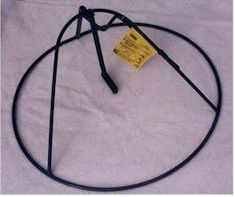 Tree Stands - We recommend the Davis Faststand tree stand for all our trees up to 20 feet! The FastStand is the simplest and easiest to use stand in the industry. It allows for a greater variety of water containers and the mounting will be straight every time. Ask Marv to demonstrate one! They are so easy! they are even nicer and more groomed now!